In a Vase on a Monday: A la soupe! Thanks to Cathy for this inspirational meme – make sure you visit her to see what others have come up with for today’s vase! Prev Hip sein oder nicht? / To be hip or not to be? Enjoyed Wordsworth this morning, but also your phrase, „1000 glowing suns“ to describe daffodils. 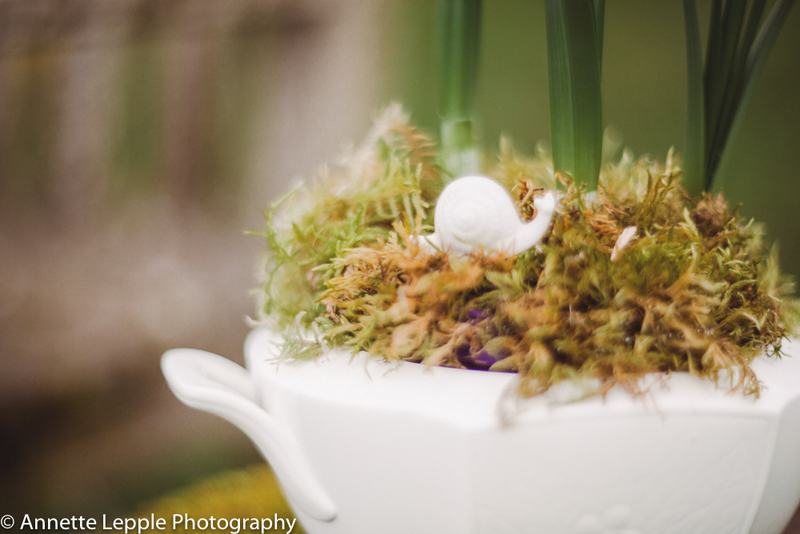 The paperwhites are especially beautiful in your evocative photographs. Hope you have a happy week Annette. Softly beautiful images, as evocative as ever, Annette. 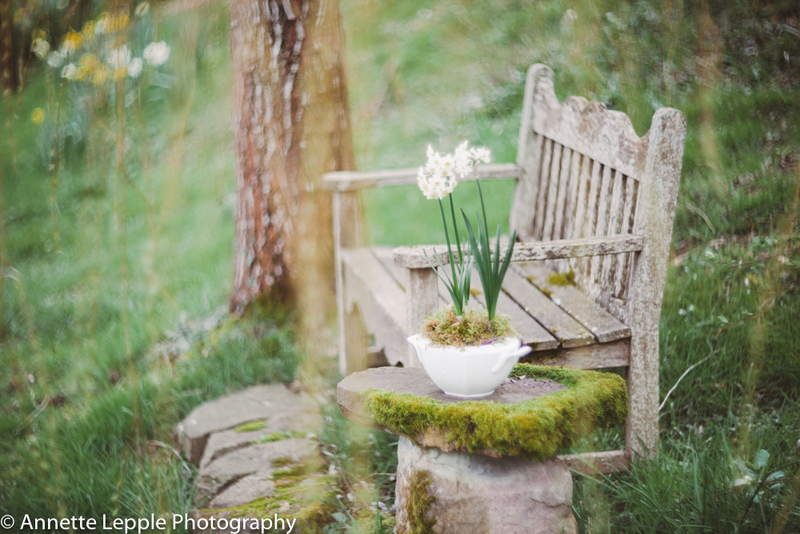 Your bench looks so inviting with the pot of scented paperwhites beside it. We have a taste of spring here too, isn’t it marvellous? Absolutely, Kate, and yes, I love the dreamy effect of the pictures as well, it suits the theme. Delightful reminder of a marvelous poem and the beauty of daffodils. Thank you. Wordsworth always comes to mind in spring, it is probably the only poem I ever learned to recite by heart. Love the Paperwhites. Ich liebe dieses Wordsworth-Gedicht, und die Daffs in der Suppenschüssel sind eine reizende Illustration dazu. Auf einen fröhlichen März! welch wundervolle Worte zu einem zauberhaften Arrangement. Die Fotos sind toll – mit dem Lensbaby gemacht ? 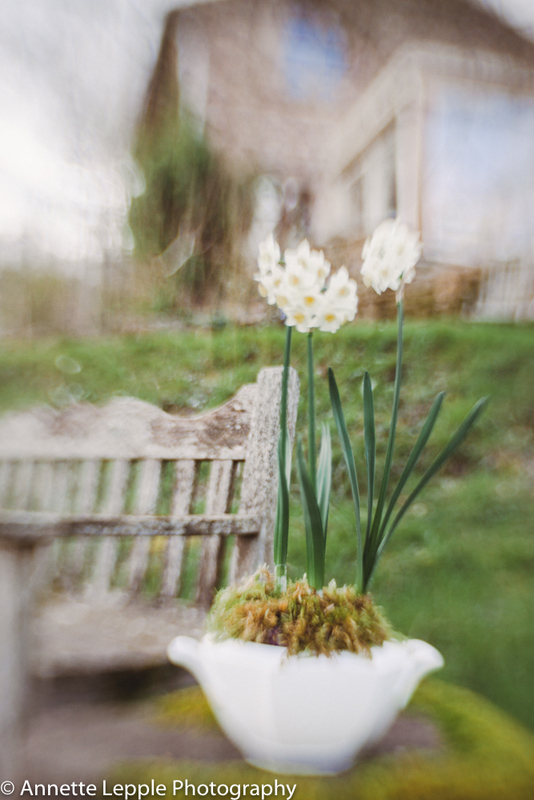 Die Bücher mit dem Verwischeffekt hat mein Mann übrigens mit dem Lensbaby für mich gemacht. Oh, to have fields with 1000 glowing suns! Thanks for sharing your Narcissus. I love that little snail at their base too. 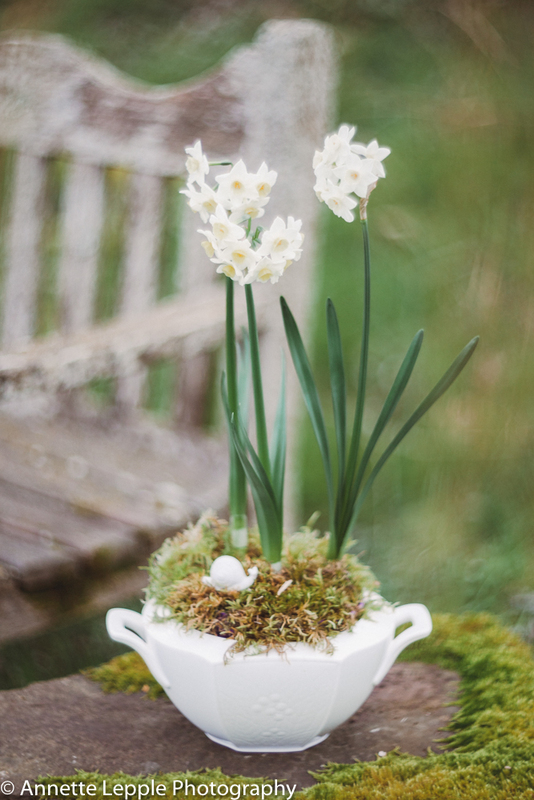 Fabulous post to celebrate spring….wonderful poem and love the daffs in the terrine! Lovely flowers and photos!! It feels so good to be welcoming spring back into our gardens!! What a perfect container and setting for your daffodils Annette. Such a friendly snail too – I wish they were all like that. I just loved this post Annette .. Beautiful daffodils. I read this poem at my dad’s funeral, it is very special to me. What a good choice, Julie 🙂 Do you grow daffs too? Beautiful! And I love that little snail in your soup dish! I’ve always loved that poem.